The inaugural Calling and Career Conference is hosted down the road at Penguin Hall, providing sophomores with professional and personal development opportunities. Gordon announces the receipt of a transformative $25 million gift—the largest of its kind in the history of the College and four times larger than any previous gift received. Gordon partners with Bon Appétit Management Company to expand the variety and quality of food products served in our dining facilities. In celebration of founder A. J. Gordon’s birthday and in honor of all who have paved the way over the years, the College hosts its annual Founder’s Weekend.  On Saturday, May 20, Gordon hosts its 125th Commencement ceremony, conferring degrees upon 385 undergraduate and 81 graduate students. Over the summer, several signature programs for high school students—Equip, Elevate and La Vida’s Adventure Pursuits—set record participation numbers. Gordon rolls out an innovative new program, Gordon Plus, as a bridge to graduate programs for qualified undergraduate students. Chair of the Department of Chemistry Irv Levy is honored by the American Chemical Society—the world’s largest scientific society—as a 2017 Fellow. Three full days of live music, kids’ activities, thought-provoking talks, games and gatherings mark the 2017 Homecoming and Family Weekend. Themed “An Evening of All-Stars,” the annual Celebration of Faithful Leadership honors Dr. Marv Wilson and features Tim Tebow and the Harlem Globetrotters. Wycliffe Bible Translators President Bob Creson invites guests to be part of completing the work of Scripture translation at the “One for All” event. The Music Department celebrates its 50th anniversary during the Christmas Gala, the largest Christmas concert celebration on the North Shore of Boston.